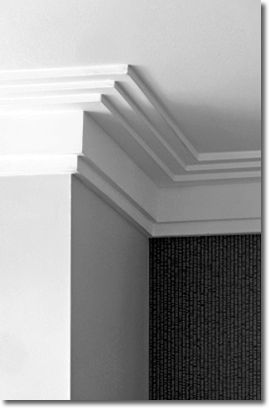 Bespoke plasterwork features, cornices and beautifully crafted decorative pieces are always achievable. They are not simply used in traditional buildings but developers, architects, interior designers and restoration experts often call on bespoke services that can offer the features desired. Modern developers, architects, interior designers often seek a high end look that resembles a period style; or that offers a classic enhancement to a contemporary build. Regardless of where the products are used, we take care and pay close attention to detail. Whether our client intends to use our finished pieces in a modern residential build, a retail outlet, hotel, restaurant, period property or a stately home we will achieve an impressive result. Our meticulously designed and manufactured bespoke features offer a way to achieve an enchanting interior, or exterior, that withstands the modern way of life. Speak to our adept team about bespoke features for your next project. We invite calls or emails that relate to small or large volume manufacture.